This NHS site has a plethora of information on facilities available pan London. 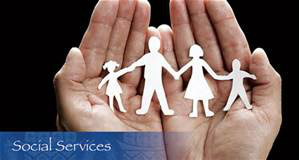 Hounslow: 0208 583 4515 (this is for a social services concern during normal working hours-0Adult safeguarding team) If you suspect abuse, contact the local police community safety unit too on 0208 721 9104 and the out of hours emergency number for Hounslow is 0208 583 2222.There is also a community learning disabilty team that can be contacted on 0208 583 3100 and an adult access team that can be contacted on 0208 583 3100. Newham: 0203 373 0440. The Adult social care team can be contacted on 0208 430 2000 option 2.A social worker will call you back as soon as possible. If there is an emergency outside normal office hours, please call 0208 552 9587. Redbridge: 0208 708 7333 For emergencies out of hours, please call 0208 554 5000.
http://www.gov.uk . You can find information on all the services available to you. Also, http://www.pohwer.net delivers information, advice and support throughout England.They aim to support people who face difficult issues and want to make their voice heard. http://www.cnwl.nhs.uk/find-hospital-ward-clinic-locations/?sT=all&sA=7 provides lots of relevant information on organisations that can possibly help pan london.